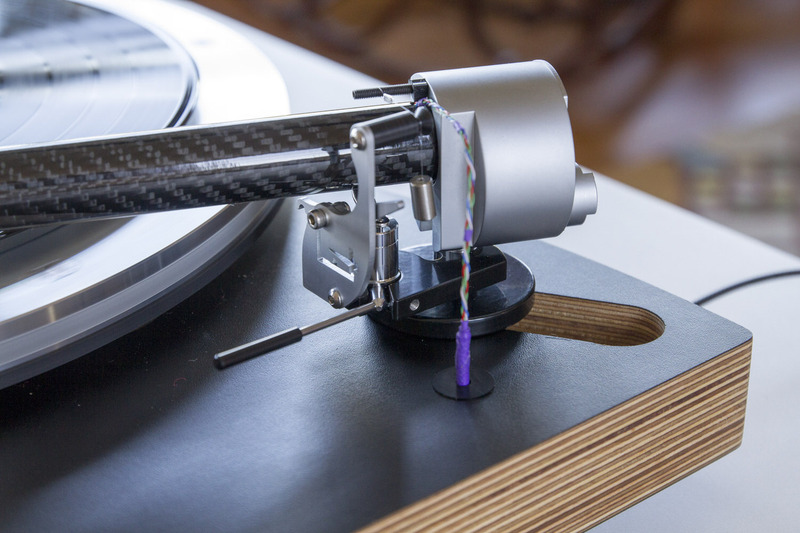 There’s a new turntable being made right here in New Zealand, and it was created by the designer of the outstandingly effective The Wand tonearms. 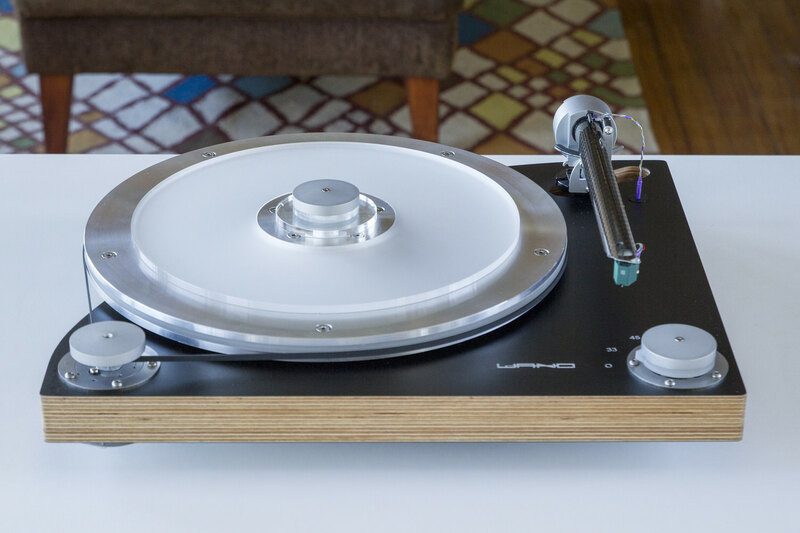 Simon Brown has been a long-time participant in and active contributor to the NZ hi-fi scene, and following on from the success of his award-winning tonearms, he’s now producing an exceptional stablemate, The Wand 14-4 Turntable, down in Dunedin. I had an audition opportunity on one of the prototypes a few months ago, and very quickly fell in love with the ease of use, engineering elegance, and superb sonic performance. I’ll be writing an in-depth review from my extensive listening, but first wanted to say something about my initial impressions on using a pre-production unit that was sent to me a few days ago. I considered the special features of this turntable to see how well each contributes to my listening pleasure. This turntable comes from the ‘design, build, and listen’ ethos that brought forth the acclaim-earning The Wand series of tonearms. That’s the first attractor for me, and it’s handmade in New Zealand. I’ve enjoyed using The Wand Plus tonearm for some time, so was keen to try out the partner turntable. It has the designation 14-4 because it has a 4-layer composite 14-inch platter. It’s quite a striking machine to behold. The most obvious feature is the 14-inch (360mm) Smart Platter. This has 20 per cent more inertia than a conventional platter of equivalent mass, and the 4-layer construction damps vibration and noise transfer. The bigger platter allows a bigger drive pulley to be used, which gives less dynamic slip. The pulley itself has the biggest flywheel that will fit on it to combat motor induced flutter. The acrylic playing surface transfers vibration from a playing record allowing increased resolution. The aluminium-acrylic sandwich produces an acoustically inert unit, which resists the transfer of vibration from belt to stylus. The screw-down clamp with acrylic surface allows the record label to be seen during playing. The platter bearing is designed with a focus on not generating or transmitting noise. The substantial main body (~480mm x 400mm x 120mm/~19 inch x 15 3/4 inch x 5 inch), weighing 11kg, is constructed with German plywood with an asymmetric shape and internal machining to disperse noise and vibration. The body accommodates 9.5 inch, 10.3 inch, or 12-inch tonearms, and an optional standalone pod support for a second 9.5-inch arm will be available. The Baltic plywood is a good acoustic material and enables machining of a stable plinth very accurately in a single part using a computerised router. The underside holes serve a number of purposes: they disperse and scatter vibrations while creating a difficult path for vibration from the motor mount, and they help to move the centre of gravity to the centre of suspension. The main reason for cutting off the back corner of the plinth is to help push the centre of gravity to the same place as the centre of suspension of the three sprung feet. This is designed to be as close as possible to the stylus-playing arc, as that is the stillest point of the suspension. A Swiss custom-made flat belt designed for low stretch provides dynamic punch while maintaining noise isolation. 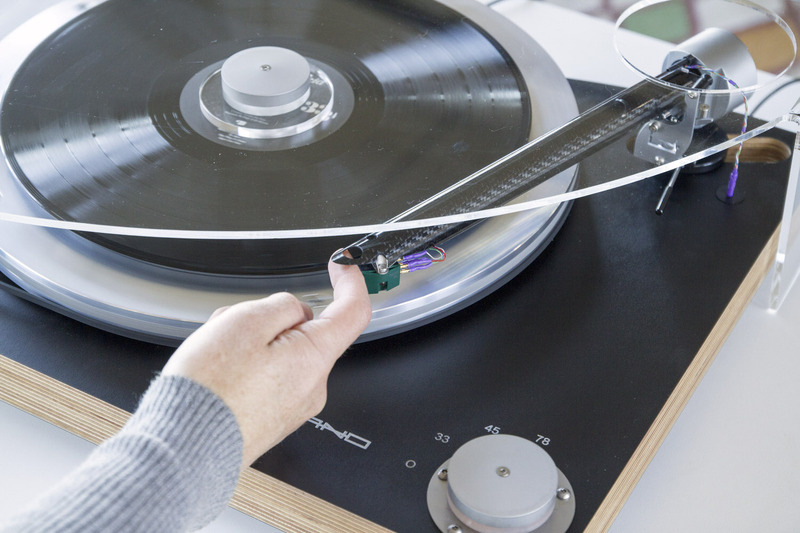 The Wand turntable comes with a stylish acrylic lid which is mechanically not attached to the playing system, and which is designed for cueing the record to the beginning when down. It stands neatly upright on its back edge when not in use. Another special feature is the Zentroidal three-point suspension system, which makes levelling a breeze. The centroid of suspension, the stillest point, is close to the playing arc of the stylus to maximise rejection of shock and vibration. The DC motor has superior electronic speed control that is switchable to 33, 45, or 78 rpm, and electronic braking enables quick record changing. The motor has a speed servo control referencing the platter, so that variations in the belt- bearing-motor-power supply system won’t affect its long-term speed stability. 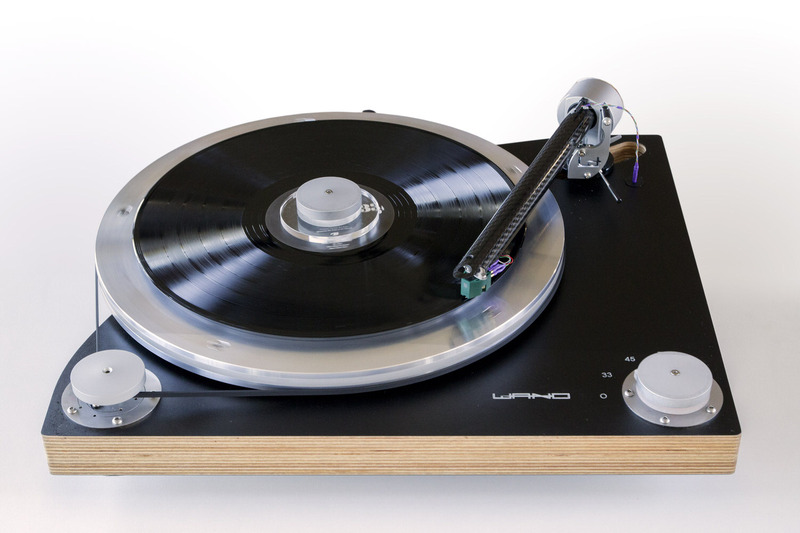 The servo is configured to operate below the audio band, unlike many direct-drive turntables. The inertia of the platter is used to maintain stability at audio frequencies. The laser-cut stainless steel ‘labyrinth’ plate doesn’t let the motor rotate about its main axis, yet it can yaw in other planes. This keeps the robust drive while adding some isolation with a long path length for vibration. An optional on-board phono stage designed by New Zealand’s PureAudio, and which is a close relative of their newly released LV-1, will be available around February next year. Production units of the turntable will be available about November, and the retail price is likely to be around NZ$4900 without a tonearm. Any of The Wand series of tonearms can be fitted to order, and can include a pickup cartridge. As I write this, I’m enjoying playing records on this turntable very much. I sense excellent timbre, clarity, dynamics handling, weight, and depth and space in the sound stage reproduction. Defects that are quite obvious on my previous turntables, such as susceptibility to footfalls, surface noise emphasis, and end of side distortion/mistracking are clearly absent in my listening. Yes, I’m sure I’ve heard lots more detail on all records played, even on albums I’ve played many times over 40+ years. And listening is more absorbing, with far less getting in the way of the music composition and performance, and recording production. 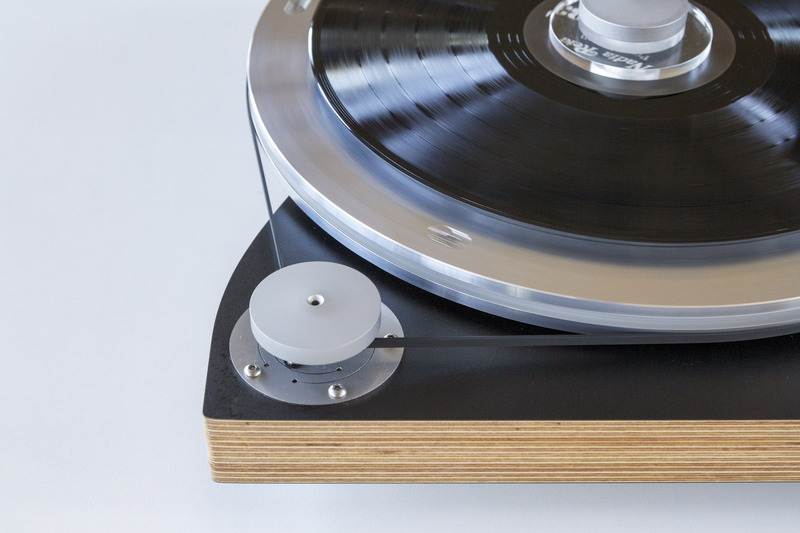 The artisan Wand 14-4 Turntable is cleverly conceived with a well-experienced user-designer eye on details that make performance and use that something special that is not attainable in a mass-produced product. The design and construction is expertly executed – handmade really makes a difference in quality, and conveys that artisan feel of the impassioned craftsman. Aesthetically, The Wand 14-4 Turntable reassuringly looks seriously engineered, and there are no gimmicks or cost-cutting sacrifices. 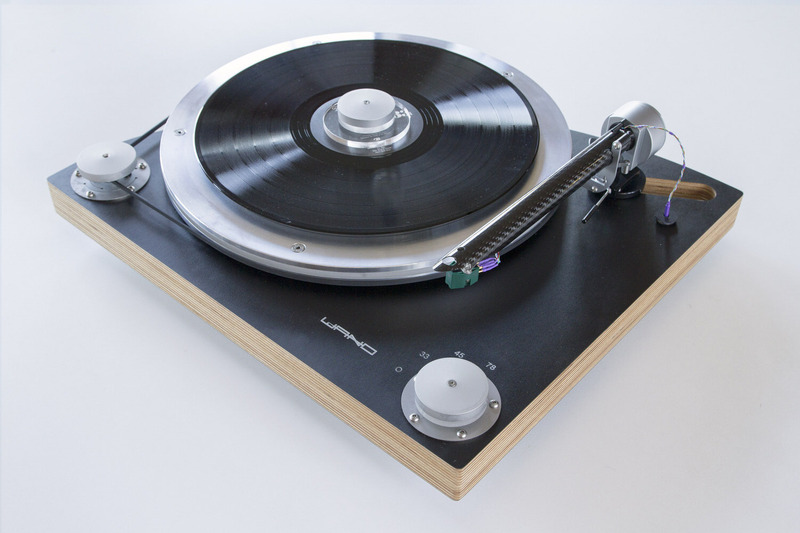 This is a turntable for playing records properly.